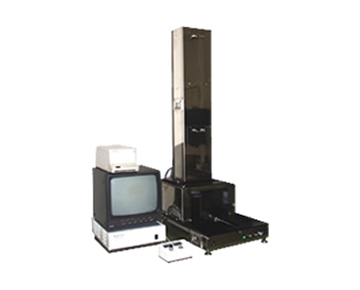 It is a high magnification inspection device of YIS series and displays a field of view of 10 mm on the monitor. It is widely used especially for inspection of slip lines occurring after epi processing. It is also effective for surface inspection of hard disks and optical polished parts. The detectable sensitivity is 50 times magnification of the Nomarski microscope. It instantaneously expresses all the surface condition. Optical system corresponds to Class 1. The optical system is maintenance free. Detection sensitivity change is possible depending on inspection contents. Inspection content Flatness, dimple, mound, saw mark, orange peel etc.